"Life is what happens in between rounds." Fat City is a film based on a book that provides a real-world, slice-of-life view of boxing that rarely graces the silver screen. The film follows the story of Tully, an alcoholic who's trying to make a boxing comeback, and Ernie, a young up-and-comer who's determined to roll with any and all punches that come his way. The film follows these two men throughout their training, their small victories, and the intense losses they experience when they can't get hold of their personal demons. Tully's story is about how he tries to reclaim his glory days when he was still in the prime of his skills, before drink, hard labor, and age tore him down. Ernie takes Tully's advice regarding a trainer, and his plot follows the young fighter as he throws himself headlong into the dark, dingy world determined to get everything that he can out of it. While both men have their demons and their winnings, the film follows each as he tries to achieve something more in a world where small wins are sometimes the only wins a fighter can really expect to come his way. 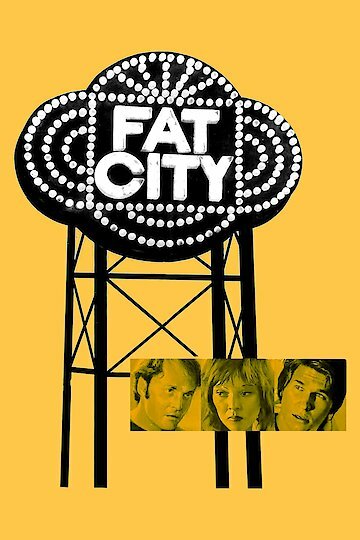 Fat City is currently available to watch and stream, buy on demand at Amazon, Vudu, Google Play, FandangoNow, iTunes, YouTube VOD online.